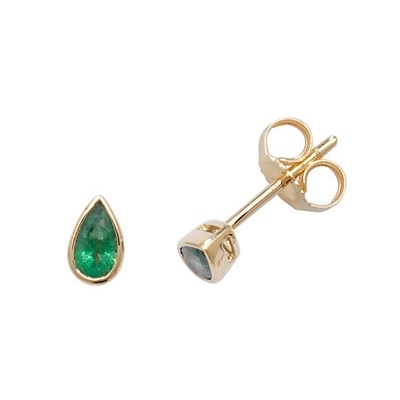 These beautiful studs feature pear cut natural Emerald gems set in solid 9k gold, this classic style if perfect for everyday wear. Delivered free with luxury packaging, authenticity certificate and a full 12 month guarantee. Please note earring dimentions 5x3mm, these are for those looking for small elegant studs.